This afternoon the Thai Film Censorship Board, under the Department of Cultural Promotion, Ministry of Culture, ruled to ban ‘Shakespeare Must Die’, the first Thai Shakespearean film, a horror movie adaptation of William Shakespeare’s ‘Macbeth’. To quote the Record of Film Inspection (see scanned attachment): “the Board deems that the film Shakespeare Must Die has content that causes divisiveness among the people of the nation, according to Ministerial Regulations stipulating types of film, BE 2552 [AD 2009], Article 7 (3). 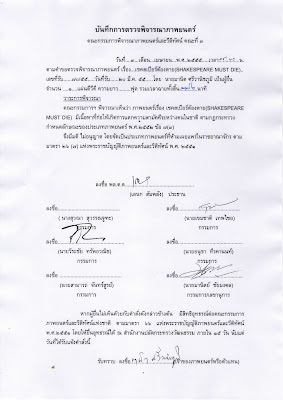 ‘Shakespeare Must Die’, directed by Ing K, was the last film to receive financial support from the Ministry of Culture’s film fund (no longer existent), under the auspices of the Creative Thailand Project by the previous (Abhisit Vejajiva) government in 2010, but was only recently completed and submitted to the Censorship Board this year, under a new (Yingluck Shinawatra) government. As every English-speaking middle school children know, ‘Macbeth’ is the supreme study of megalomania, the tale of a warlord with limitless ambition who, prompted by the prophecies of witches and egged on by his fiendish wife, kills his king to crown himself. A reign of terror ensues, as the paranoid tyrant must keep on killing to preserve his power. 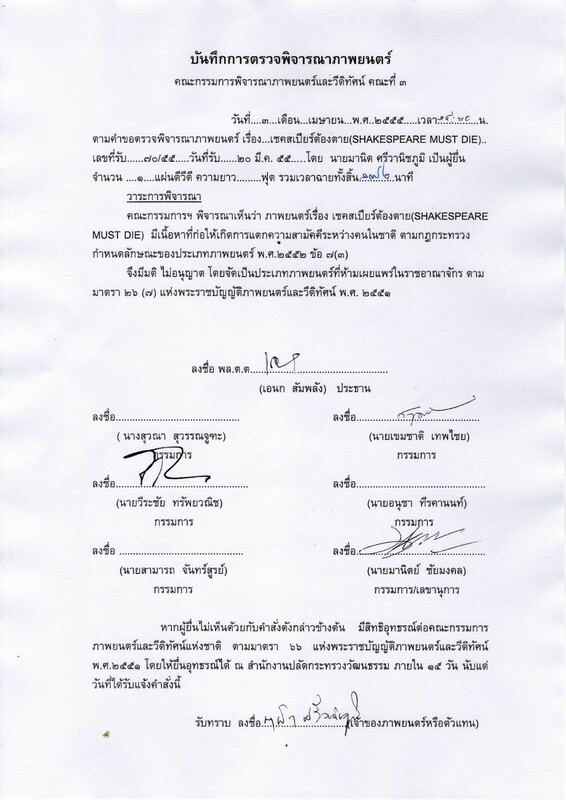 It seems strange that the cultural ministry would ban Shakespeare, in the form of a film that the ministry itself had funded. It’s as if we’re actually living under a real live Macbeth. There are cinematic versions of Macbeth from all over the world—India, Japan, Taiwan, you name it. 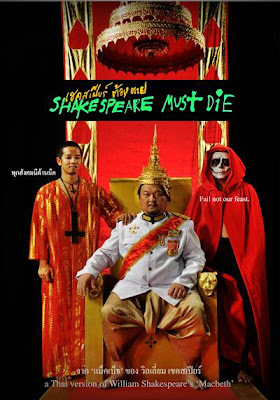 This is the first Thai Shakespearean film and, for reasons of national security, it is deemed too dangerous for Thai people to see!